Ever wondered what the big deal is about mowing heights? Different lawns have different mowing heights and its important to get the height right for your lawn type as it affects the overall health of your lawn. Don't mow your new lawn too soon or too short. Wait at least 14 days after installation to ensure the roots have had a chance to take properly. 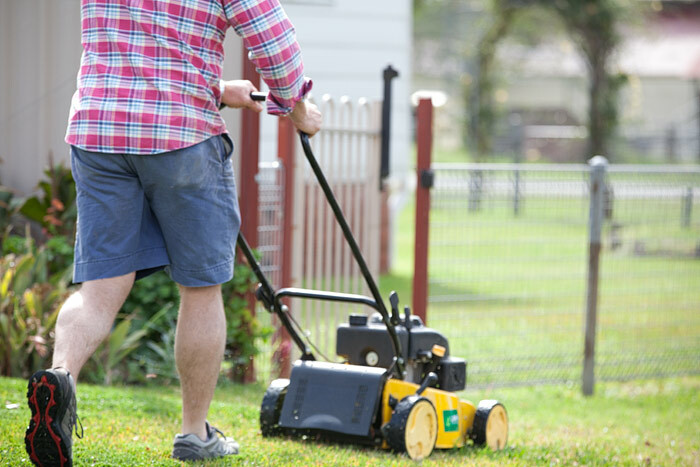 Mow your lawn higher initially to reduce any stress on the lawn and help it establish quicker. Seasonal mowing is a thing and it is important to follow the guidelines to give your lawn the best chance of thriving. In the cooler months it is recommended to keep your lawn slightly longer. This helps the lawn maintain a lush green colour during winter when most lawns go dormant. It also assists in blocking out weeds. During the warmer months, your lawn is actively growing, this means you can decrease the height of your mower as the lawn has more opportunity to recover. *height is dependent on seasonal variances and personal preference. As mentioned in previous blog posts, the 1/3 rule is especially important to follow for your lawn at any time of year. As the name suggests, it is not recommended to remove more then 1/3 of the leaf each time you mow. As taking more off could put your lawn under additional stress and will take longer for your lawn to regain its green colour. So all in all, mowing heights are important not only for different seasons, but different turf types. Get it right and you will have a lush green lawn all year round. For more information on each lawn type or tips to keep your lawn healthy check out our previous blog posts. Older PostWeed and Feed... does it do the job?